I’ve secretly wanted to be a hat person for a very long time. I’ve purchased a few, but never felt any of them looked “right” when I attempted to wear them. Maybe it was the length of my hair or my ears sticking out. Don’t know, but I’m determined to find a hat I love. 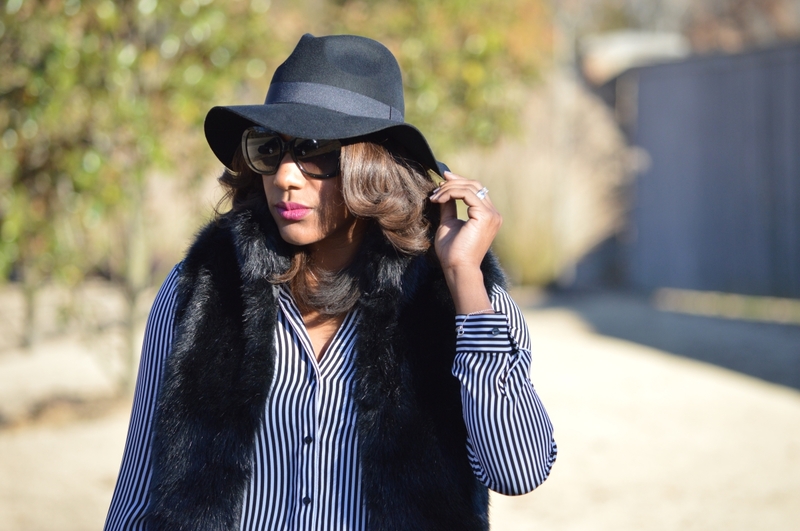 Lately, I’ve had my eyes on finding the perfect wide brim fedora for fall. Well ladies and gents, I think I’ve found it thanks to Chic Crowns online hat boutique!!! [Warning: This is a picture heavy post because I was kind of feeling myself. Snaps.] 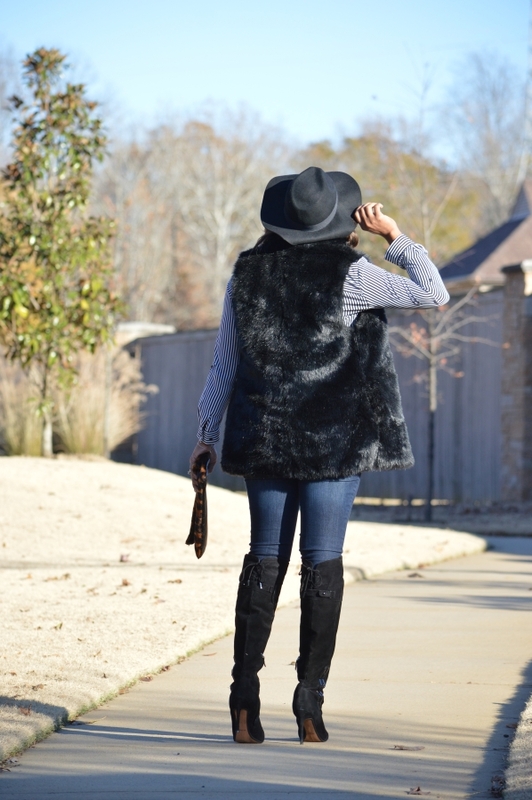 I decided to turn the style volume to level 10 by adding this faux fur vest that I’ve had forever and have never worn. I couldn’t add the vest without also adding my favorite over-the-knee boots. Throw in a little pattern play with stripes and leopard, and I was ready to hit the streets like the old Kim K. Yes, I said it. 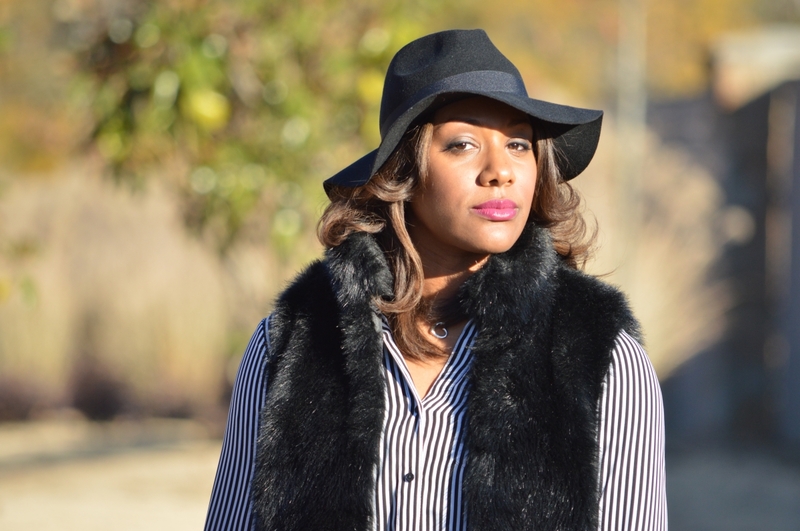 According to Q, a fedora can help mask a bad hair day as well as add levels of style to a look. 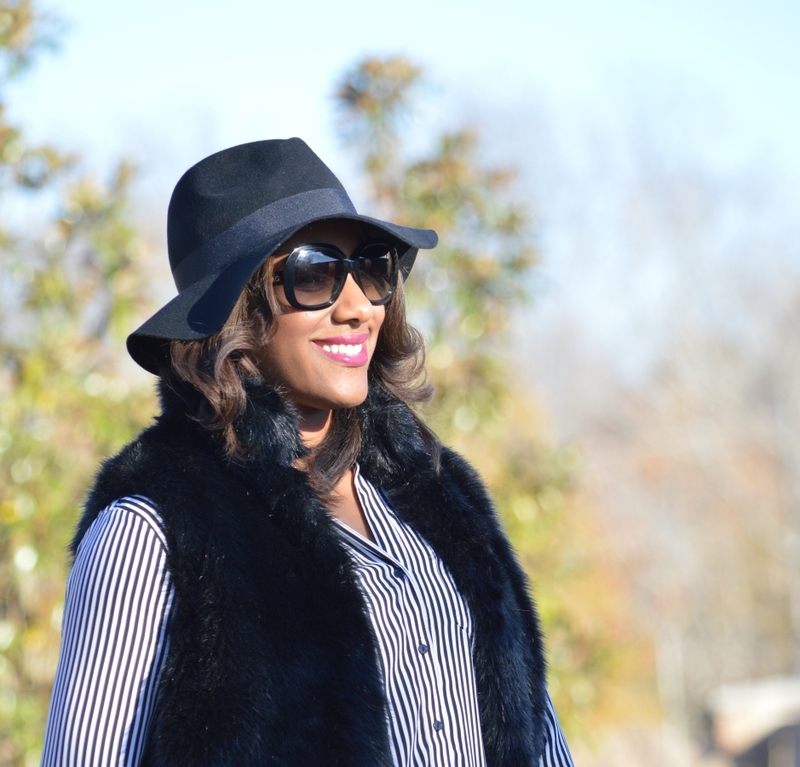 Grab one with a wide brim this fall, and keep it simple or go a little over the top! Whichever you choose, just WERK! 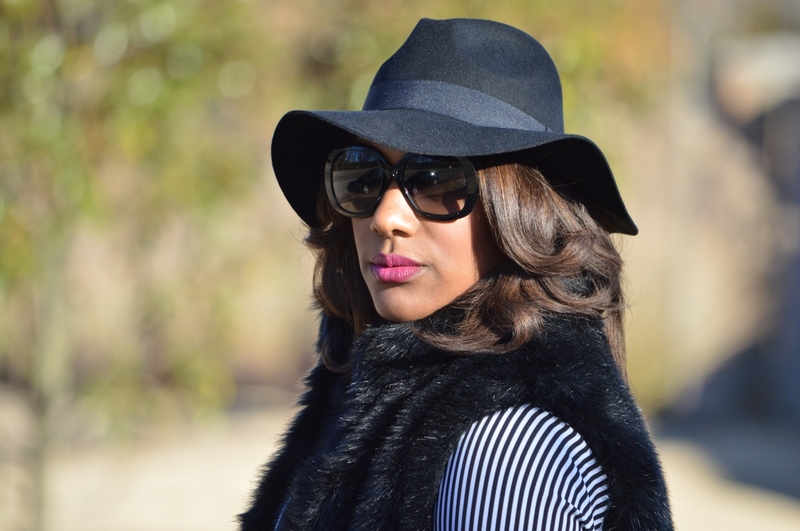 Check out more options from the online boutique Chic Crowns. I definitely have my eye on a few more! It took me a while, but I’m in love with this one. Hopefully you’ll find one soon. Thank you so much for stopping by! I’ve been contemplating about adding a faux fur to my wardrobe but wasn’t sure how I would style it. This look is simple yet so chic. Thanks Angie! Simple is definitely the way to go with such a stand out piece! Go for it!